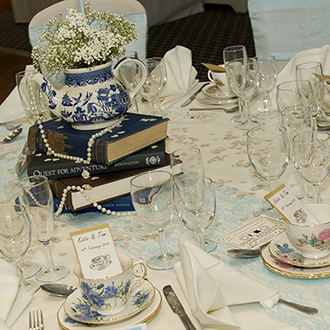 Our vintage teapot and antique book towers are the most wonderful vintage style accessories. 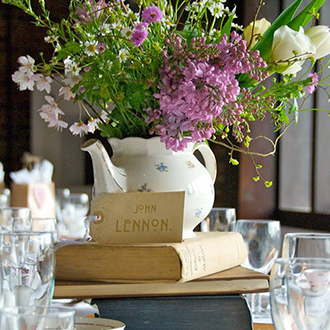 With beautiful flower arrangements they make a lovely centrepiece for your tables and really complement our vintage china. 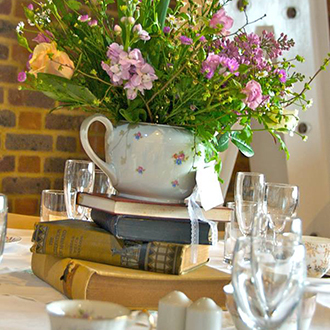 Includes delivery and collection within five miles of Aylesford and Bourne End.